Some of you will care, while others won’t give a damn due to your hatred for True Blood wolves, but HBO has finally shared the DVD release date for Season 5 of True Blood. The big day is – May 21, 2013. Along with each bloody episode, the DVD also comes with an assortment of bonus features. Check out the details below. Audio Commentaries: 5 Commentaries with the Cast and Crew including Alan Ball, Anna Paquin, Stephen Moyer, Denis O’Hare, Carrie Preston, and many more! 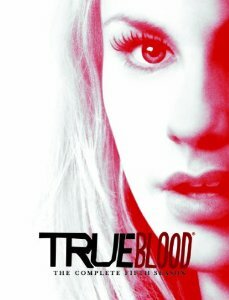 Who here is picking up Season 5 of True Blood in May? Are you excited about Season 6? Any hopes for the werewolves?